Beloved by many travellers and holidaymakers, Corfu has a few names it goes by - the Happy Isle, the Garden of Eden, and even the Emerald Isle. If you're looking to lounge in the sun during the summer months, then there's no better place to do it in than Corfu, but there are also thousands of other exciting visitor attractions and activities to take part in. Corfu has both modern luxury resorts, and family-run bed and breakfasts, with something for everyone, you can't go wrong in Corfu. The famous Corfu Old town is steeped in history, with winding cobbled streets rivalling that of Venice's corridors. The main market areas are bustling with street sellers and boutique gift shops - you won't be short of presents to bring back for your loved ones at home, and the Venitian-esque buildings rise high above the streets. Away from the Old Town, sprawling mountains shelter beautiful little fishing villages from the baking sun, beautiful pebble and sand beaches spread along the shoreline, and stunning clear oceans make way for incredible views of Italy and even Albania. 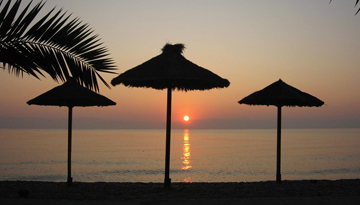 Thomas Cook offering great value flights to Corfu from London with - £61.99 one way trip. 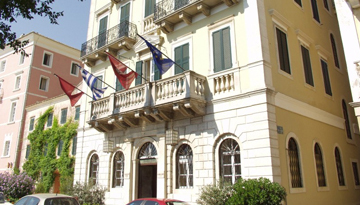 Cavalieri Hotel Corfu is situated on Corfu Island and offers 4-star accommodation facilities.. 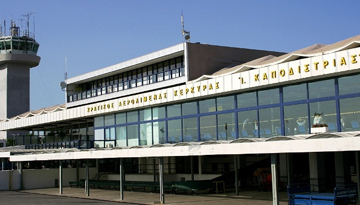 Fly from London Gatwick - Corfu & Stay for 7 nights with 3 star accommodation. Self Catering.